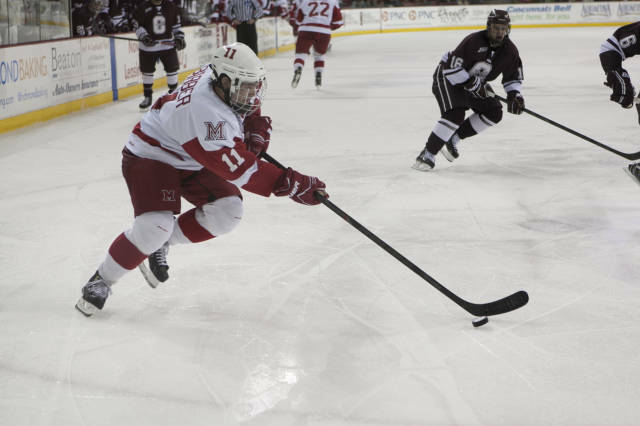 This weekend’s matchup with Providence brought us some fantastic hockey, as the then fourth-ranked RedHawks improved to 3-0-1 on the young season. I’ll happily take some of the credit for this one: Riley Barber is this week’s CCHA Gongshow Rookie of the Week. Barber was on fire this weekend, and we love how this freshman has jumped right into the mix for the RedHawks. Despite missing his shootout attempt on Friday night (he beat Gillies but rang it off the post), Barber still was the Hawks biggest contributor over the weekend with a goal Friday and a goal and 2 assists in Saturday’s win. He also had 7 shots on the weekend, was a +3 and blocked 2 Providence shots. In the polls, Miami jumps up a spot to #3 in each of the weekly rankings. It’s still the time of year where those who win, climb, and those who lose fall, but I don’t think that many people would have thought we’d be the third ranked team in the country after 2 weeks. In the USCHO poll, Miami earned 4 first place votes – one of 8 teams to earn the top billing on someone’s ballot. Miami was one of just 3 to receive first place votes in the USA Today/USA Hockey Magazine poll. Both polls had Boston College receiving the vast majority of the first place votes and in the top slot, with Minnesota second. Both were in Tampa last year for the Frozen Four, and BC beat Minnesota en route to the NCAA Championship. If you didn’t catch them, here are Austin Czarnik and Cody Murphy’s shootout winning goals from Friday night. 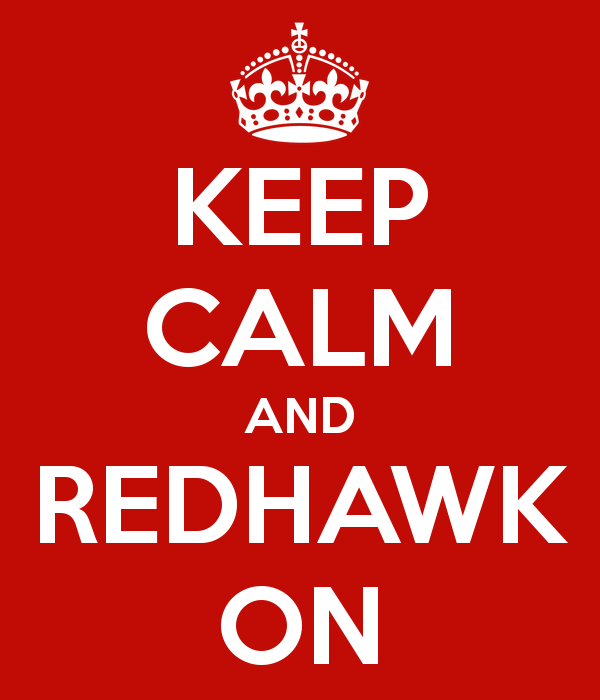 We like seeing them over and over again, even if the RedHawks didn’t get more than a tie and a moral victory on the evening. Sorry for the shakiness on this one. It’s not the ABSOLUTELY FILTHY move that we saw from Austin Czarnik, but this one-move-magic from Cody Murphy was good enough for the game winner. Way to pick your spot, fella. And finally, here is your Sunday SixPack of tweets. Be sure to follow @redskinwarriors to complete your Miami Hockey experience! Coleman’s stats through 1 period last night: 1 shot, 1 goal, 1 penalty, 6 for 6 on faceoffs. #insidethenumbers Miele + Jones = Coleman? Taylor Richart: Shot Blocker Extraordinaire. 9 blocks against Colgate and 9 more against Providence. He’s nothing short of a #brickwall. Miami takes its first road trip of the season this week to Ann Arbor, MI to take on the 6th-ranked Wolverines. Friday’s game will be on Comcast Sports Net in Michigan. We’ll let you know if we find any local TV or internet feed for the games. As always, Miami All-Access will have Greg Waddell with the audio-only call for both games.